THOMASVILLE, N.C. (WGHP) -- From normal to strange, Jessica Cranford processes all kinds of donations at the Goodwill store on Randolph Street. "We get knickknacks, different clothes," said Cranford, a participant in Goodwill's WorkFirst training program. "Little bits and pieces of jewelry." "I think his words were, 'You're never going to believe what I found,'" she said. "He doesn't belong here," Cranford said, referring to the cremated ashes. "He needs to be with his family." She posted a picture of the bottle on Facebook with her phone number along with when and where it was found. "So far, I haven't had any luck finding where he belongs, but I'm not going to stop trying," she said. 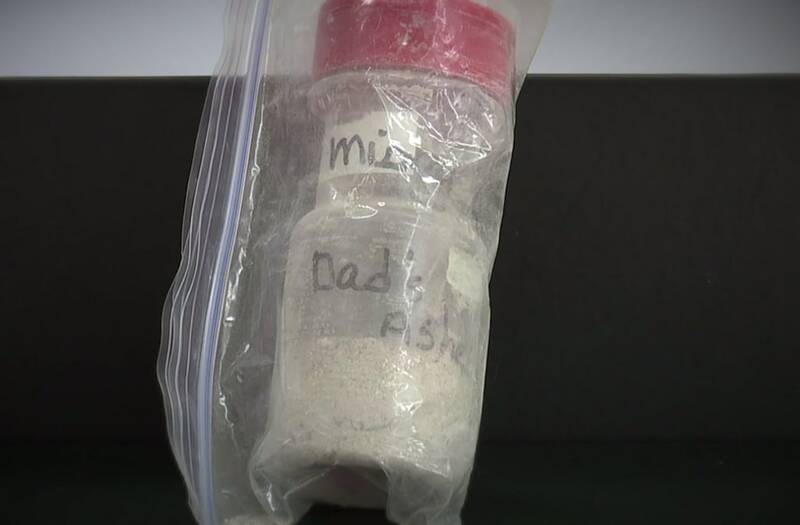 Anyone who may know who the ashes belong to is asked to call the nonprofit's corporate number at (336) 714-3039. You can also send an email to info@goodwillnwnc.org.